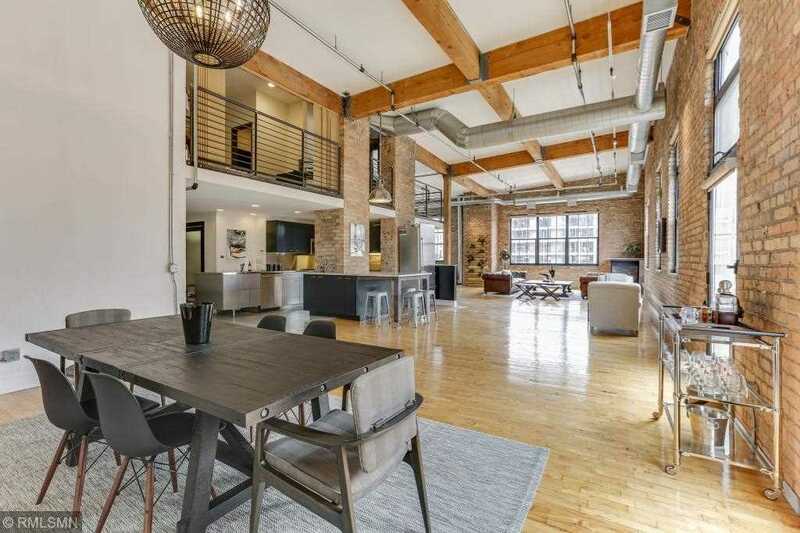 Having just completed a renovation, this rare, corner penthouse unit offers a one-of-a-kind home in the heart of the North Loop. Gracing this voluminous unit are soaring 20′ ceilings with original wooden beams, hardwood floors, exposed brick, tons of natural light, updated lighting fixtures, fresh paint throughout, brand new appliances and an enormous terrace - perfect for entertaining. 3 parking stalls, private storage and low monthly dues to complete your downtown experience! I was searching for a Property and found this listing (MLS #4989484). I would like to schedule a showing for 801 Washington Avenue N #301 Minneapolis, MN 55401. Thank you! I was searching for a Property and found this listing (MLS #4989484). Please send me more information regarding 801 Washington Avenue N #301 Minneapolis, MN 55401. Thank you! Listing provided courtesy of Prudden & Company. MLS® 4989484: This property at 801 Washington Avenue N #301, Minneapolis, MN 55401 is located in the North Loop subdivision and is listed for $1,225,000. MLS® 4989484 has been on the market for 257 days.